Leonie Jackson is the new CEO of the Deaf Society of NSW! The Shepherd Centre welcomes the appointment of Ms Leonie Jackson as the new CEO of the Deaf Society of NSW, and congratulates former CEO Ms Sharon Everson as she concludes her 38 year service to the Deaf Society. With over 20 years of experience working for deaf-centred organisations, Leonie will use her skills from the business sector and the Deaf community to help the Deaf Society prepare for the NDIS roll out and the subsequent shift in the disability support scene. In her previous position as Head of Education and Research at captioning company Ai-Media, Leonie spearheaded the development and implementation of Ai-Live, a live captioning and transcription service for people who are deaf of hard-of-hearing. Her community internship program, also with Ai-Media, enabled young people with a disability to gain valuable work experience. 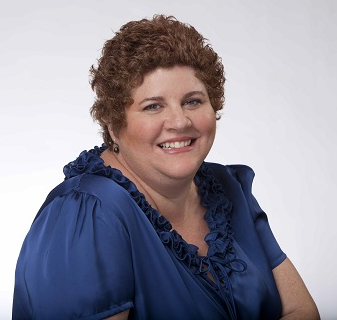 She is a member of Parents of Deaf Children’s Management Committee, Australian Hearing’s Paediatrics Program Advisory Committee, and convenor of Deaf Australia’s Working Group on Early Intervention and Education for deaf and hard-of-hearing children. With the support of the Board and teamwork with staff, Leonie also aims to campaign strongly on behalf of the Deaf Society “to break down barriers, create choices and support every deaf and hard of hearing person with achieving their goals”.